Hollow Blood! 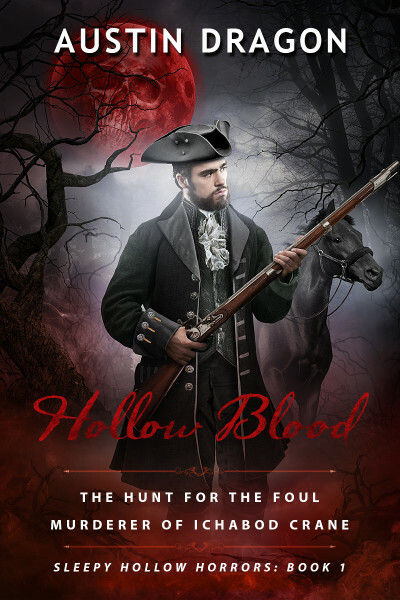 Book One of the Sleepy Hollow Horrors by Austin Dragon. Ichabod Crane is dead! Everyone knows it. The Horseman took him—like so many others—one dark night in 1790. That was 10 years ago. And a lone stranger has come to their quiet town. He is friendly enough, well-mannered, educated, but suspicions grow. The whispers of gossip begin. All of Sleepy Hollow is soon turned upside-down when they learn the truth. It is only the beginning, as they find themselves in the path of his black vengeance. This stranger threatens not only their lives, but their very souls by bringing about the return of the hellish Headless Horseman! Will death be upon them all?